• Zip and unzip files instantly using simple, drag-and-drop tools. • Reduce file size for faster sharing and a smaller storage footprint. 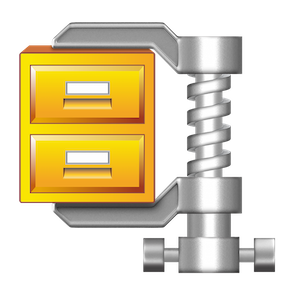 • Work with 12+ major compressed file formats including Zip, Zipx, RAR, LHA, 7Z, JAR, and WAR. • Encrypt files and/or resize images inside a zipped file without having to unzip/zip it again. • Resize images when you create and zip, and get two new resize options. • Zip or unzip files to any folder in a flash—right from the NEW Files pane! • Password-protect confidential files and apply powerful AES encryption. • Re-use your password when additional encrypted files are added to a Zip. • Prevent unauthorized access of email attachments. • Encrypt individual files within a zipped folder. • Easily view and double-check your password with Show Password. • Zip and encrypt Mac files to create smaller, safer email attachments. • Organize and compress files into small, logical groups that are ideal for sharing. • Zip files and folders for faster uploading/downloading times. • Easily share to Facebook, Twitter and other apps. • Connect to iCloud Drive, Dropbox, Google Drive and ZipShare right from WinZip. • Easily zip and upload large files, or open zip files saved in the cloud. • Use Cloud Links to upload a file to your cloud service and quickly send a link to it via email. • Automatically get a link to paste into Skype or other apps when you upload your zip file to a cloud service. • Maximize cloud storage space by compressing files. • Zip from Files panee. • Unzip to Files panee. • One-click access to local folderse. • Drag-and-drop zipping from the Files panee. • Drag-and-drop unzipping to the Files panee. • Manage files from WinZipe. • Files pane context sensitive menuse. • Most recently used Zip filese. • Unzip more file typese.